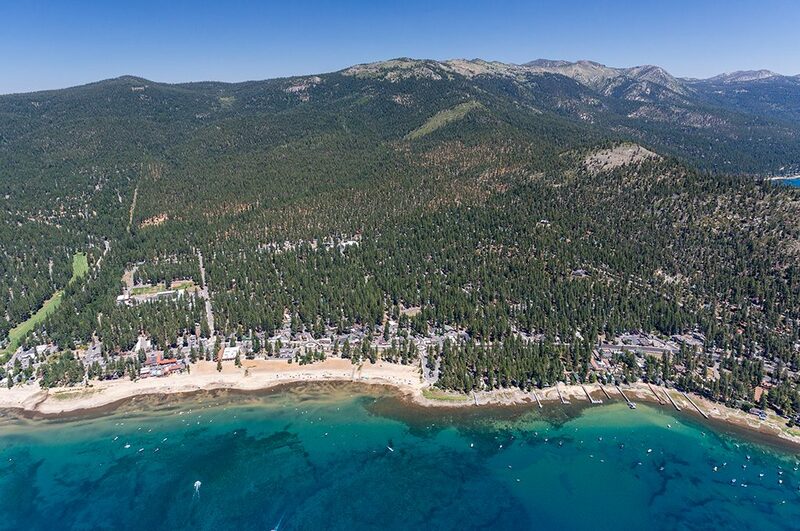 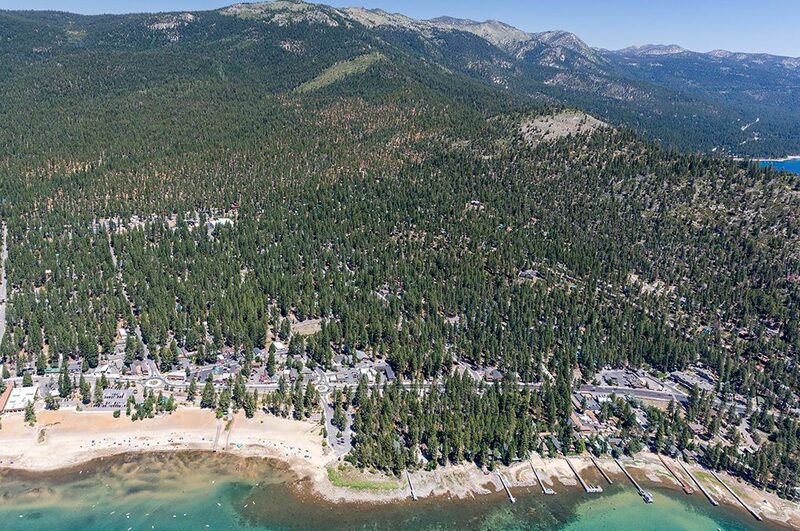 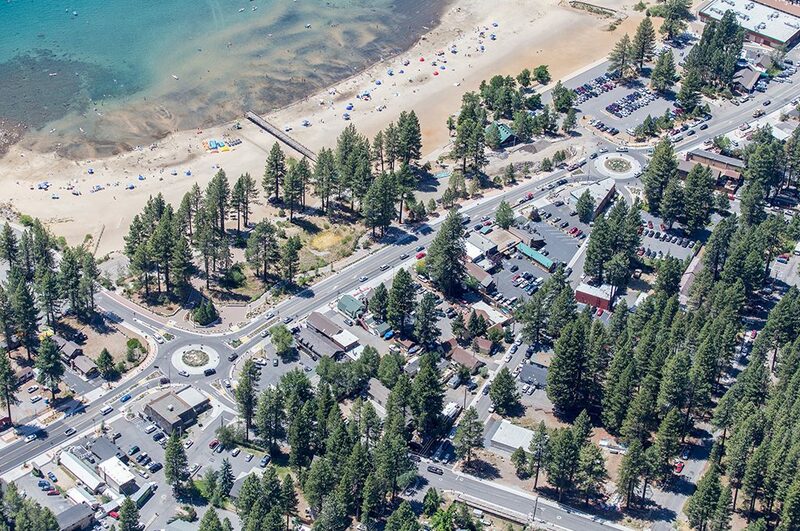 With Lake Tahoe just feet away and a bustling downtown, Placer County, California saw great potential in improving and activating the streetscapes of Kings Beach. 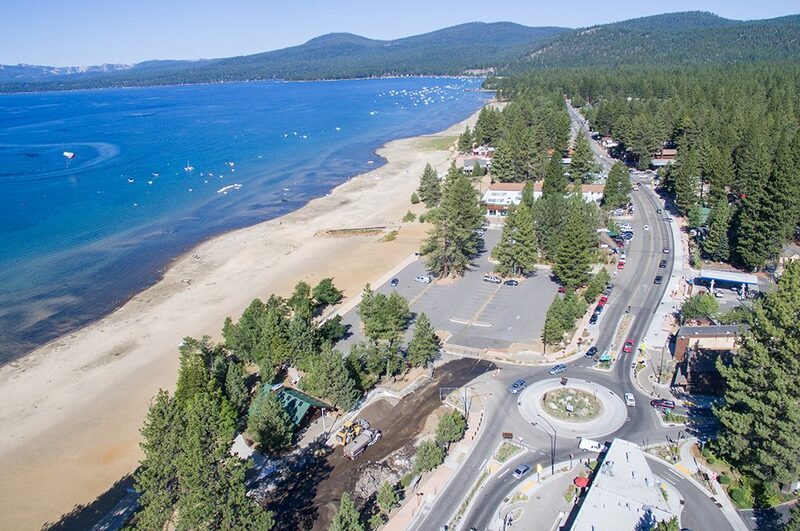 A destination in all seasons, the area is a mix of classic Lake Tahoe amenities and a laid-back attitude. 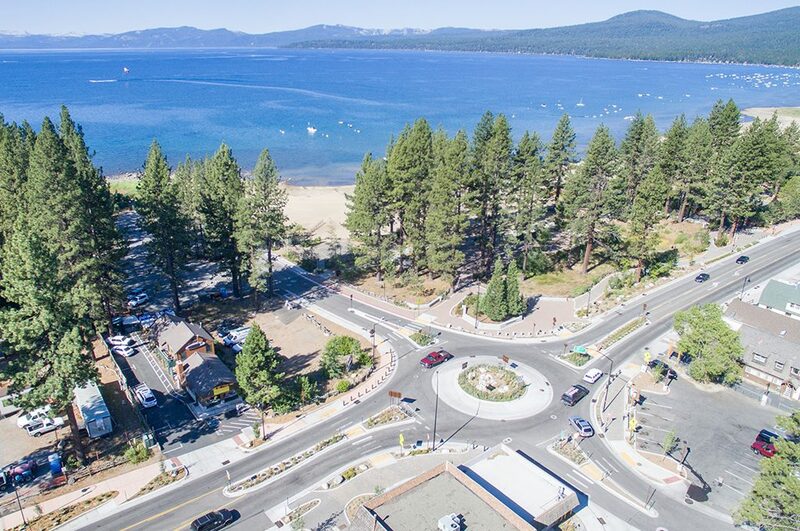 As the area continues to increase in popularity, county authorities planned ahead for traffic flow and sought to provide an easy-to-maintain roadway. 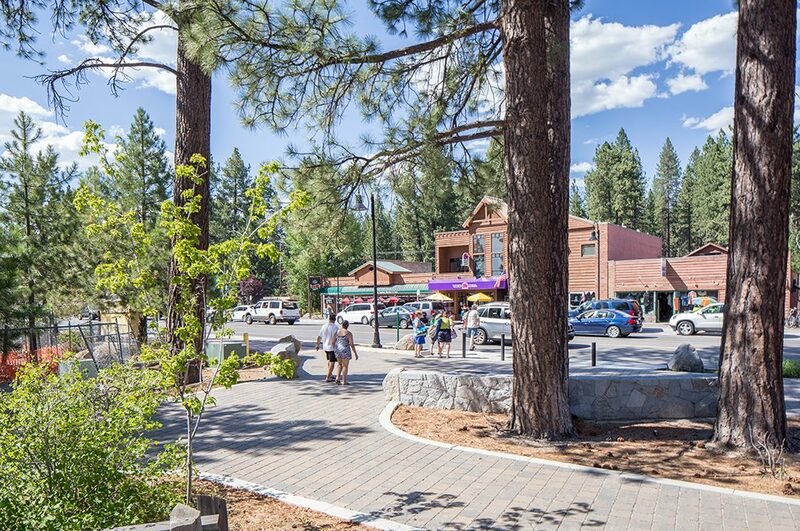 Using new strategies in pedestrian-friendly roadway design and the energizing of street spaces, the team also made plans to increase the vitality of the core downtown area. 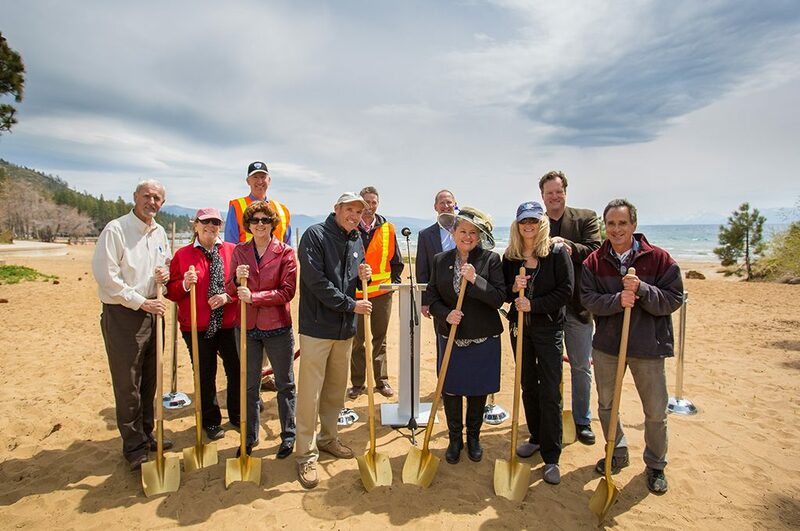 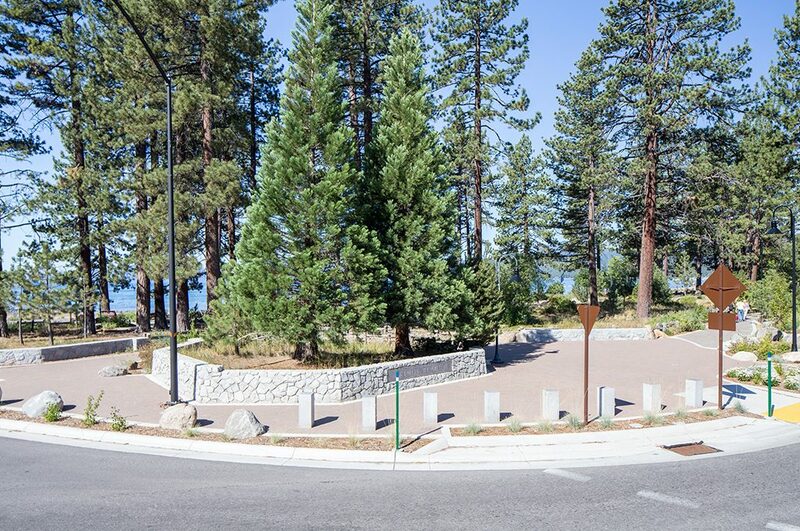 As the general contractor, Q&D worked with Placer County Public Works Department to upgrade and improve a 1.1-mile section of State Route 28 adjacent to Lake Tahoe, through Kings Beach, along with additional neighborhood streets. 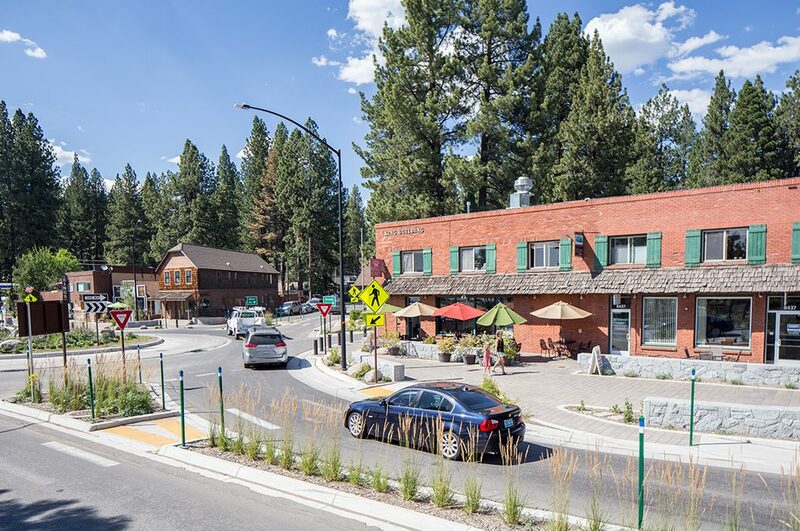 The new streetscape improves pedestrian mobility with wider sidewalks, which also increase connectivity between businesses and allow for outdoor seating. 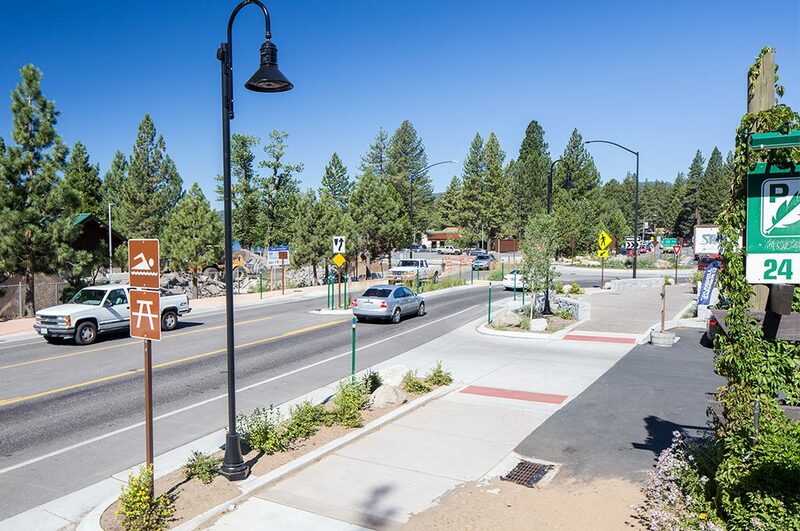 Bicycle access is safer with dedicated lanes. 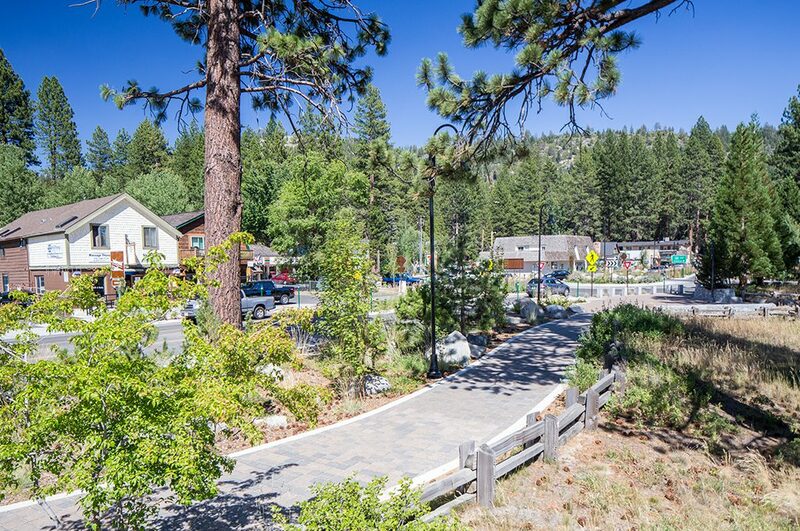 The new sidewalks, along with drainage improvements, paving and two new vehicular roundabouts enhance overall accessibility. 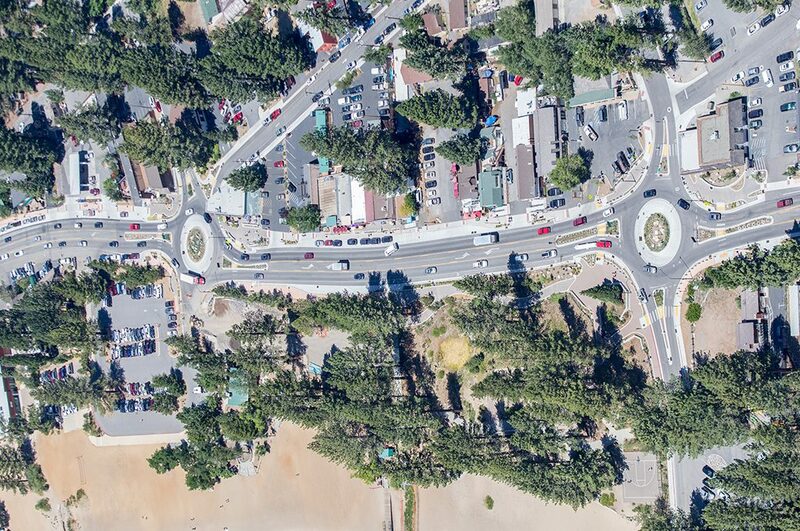 With construction along State Route 28 restricted to off-peak seasons, Q&D helped devise a plan to accelerate the constructing of the two round-a-bouts. 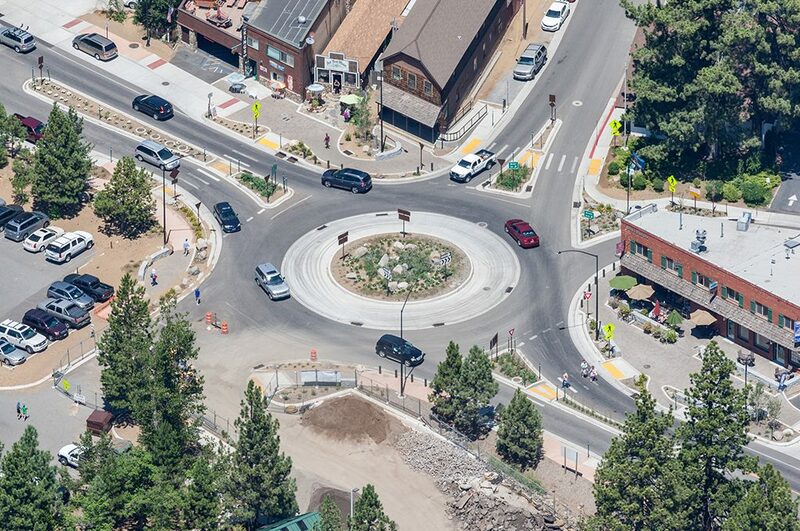 The team’s innovative approach to phasing and sequencing allowed them to reduce the overall duration of this part of the work, finish the roundabouts in a single season, and reduce project costs by eliminating temporary installation of traffic signaling. 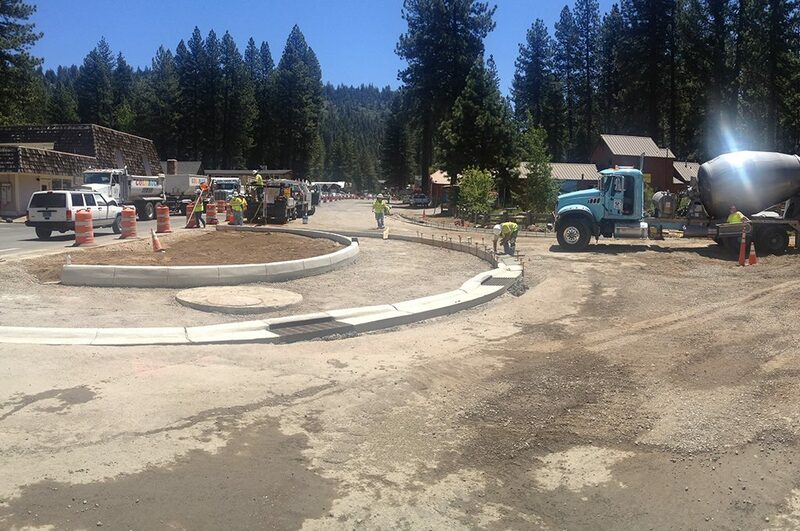 Work included earthwork, grading, paving, sidewalks, signage and signals, pavement markings and landscaping. 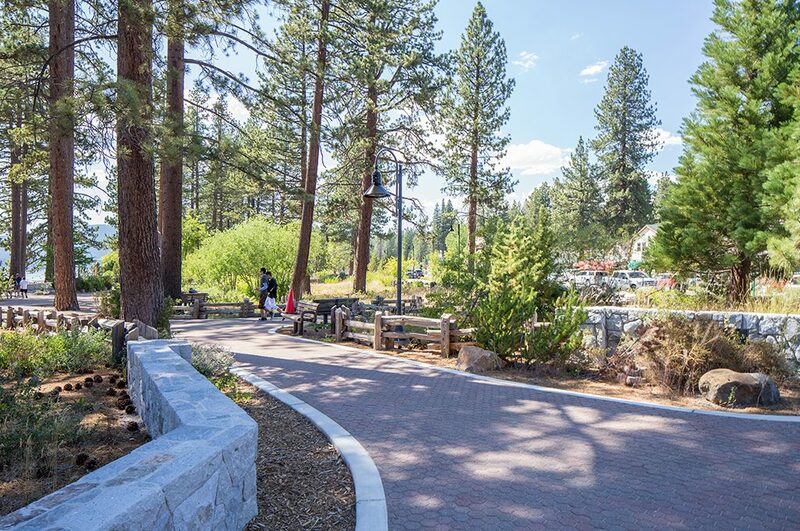 During construction Q&D worked closely with each business along the route to complete the enhancements, ensuring they always had ample access for customers. 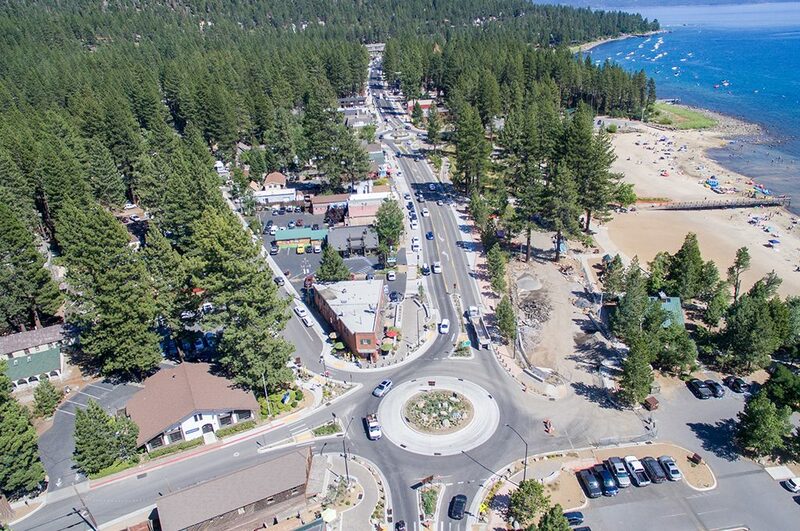 The project won the Best in Basin Award by Tahoe Regional Planning Agency, Outstanding Local Streets and Roads Project Award by the County Engineers Association of California and the Public Works Officers’ Institute, and the Project of the Year by the Sacramento chapter of the American Public Works Association. 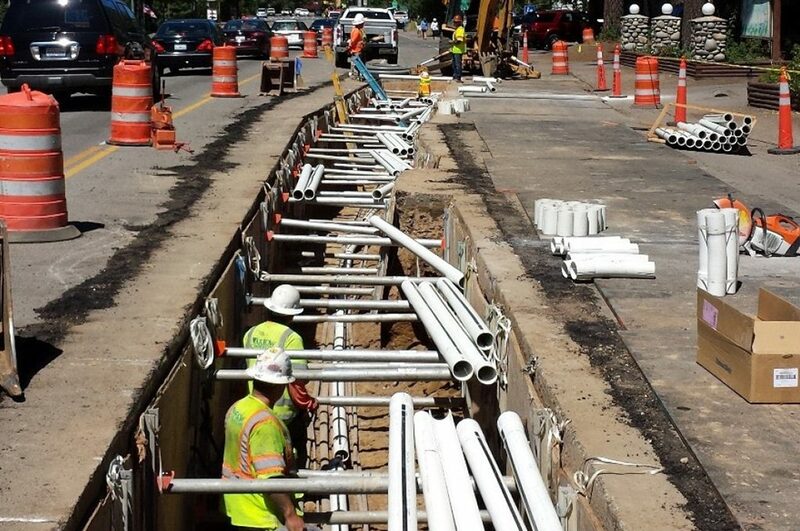 Q&D is pleased that our quality of installation, schedule record and commitment to working with local businesses to maintain access contributed to the successful outcome of this project for our client. 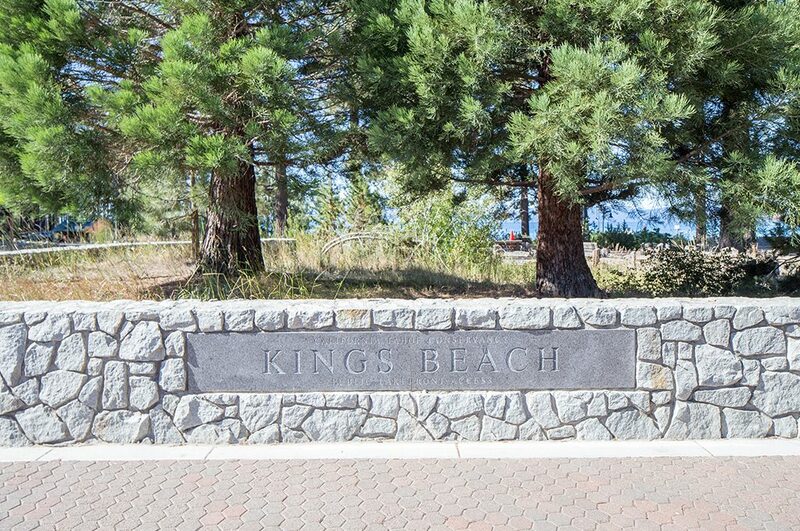 It truly is a vibrant, pedestrian-friendly commercial center in the heart of Kings Beach.